Gill has extensive experience in evaluation, the development of reporting performance frameworks and community development. She has deep experience in the Indigenous sector, and has worked extensively on implementing and evaluating successful strategies to reduce the prevalence of petrol sniffing through the use of low aromatic fuel. Gill is highly competent at working in community environments to establish collaborative approaches to difficult problems. Reviewed the National Aboriginal Community Controlled Health Organisation to develop more effective governance practices. Prior to joining Nous Gill was a director at Bowchung Consulting for 20 years. 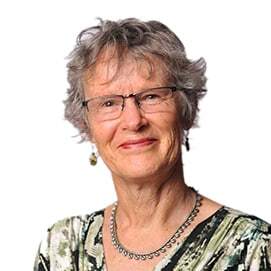 She holds a Bachelor of Applied Science in Health Education, a Master of Public Health and was previously a board member of the Drug and Alcohol Shelter in Alice Springs. Gill is a walker, bird watcher and gardener. She spends her weekends enjoying the environment and growing great vegetables.